Dan Ammann, right, president of General Motors, with the co-founders of Cruise Automation, Kyle Vogt, center, and Daniel Kan. When Dan Kan was a senior in college, he applied for about 35 jobs, most of them in finance. By the time he graduated in 2009 from Claremont McKenna college, Kan had been rejected from all but two of those jobs. “I remember distinctly when I was graduating that I was going to go into finance. Like, ‘Oh! This is the path. Everyone goes into finance.’ You make a lot of money,” says Kan, 29, during a phone conversation with Entrepreneur. With hands full of rejections from the finance world, Kan had two opportunities: teach English in Korea or work at a startup in San Francisco called UserVoice, a platform which helps companies collect user feedback. “I went for the startup,” says Kan.
Today, about seven years later, Kan is the co-founder of Cruise Automation, a startup that General Motors bought in March for $1 billion in a cash and stock deal. So how does a wannabe finance college grad land at the top of one of the hottest startups in Silicon Valley? A bit of luck, the right connections, a healthy appetite for risk and a remarkably unflappable demeanor. Kan knows he has pulled a lucky hand, but he’s also played his cards right. Startup juju runs in the family. Kan grew up in a family of entrepreneurs. His mother started her own real estate and mortgage broker business in Seattle in the 1990s, when Kan was a young kid, around 10 years old, before the days of Google Maps. Dan and his brothers would scan and photocopy pages from giant map books, tape them together and plan out routes for his mom to take to all of the houses on her routes. Dan’s older brother, Justin, is also an entrepreneur. Justin moved to San Francisco after graduating college and started the online video platform Justin.tv in 2006, which later became Twitch. Throughout his life, his family has always been a source of inspiration and support to Dan. Even now that he is a co-founder of a unicorn that just inked a $1 billion deal, Dan still shares an apartment with one of his two brothers in an adjoining apartment with their third brother. 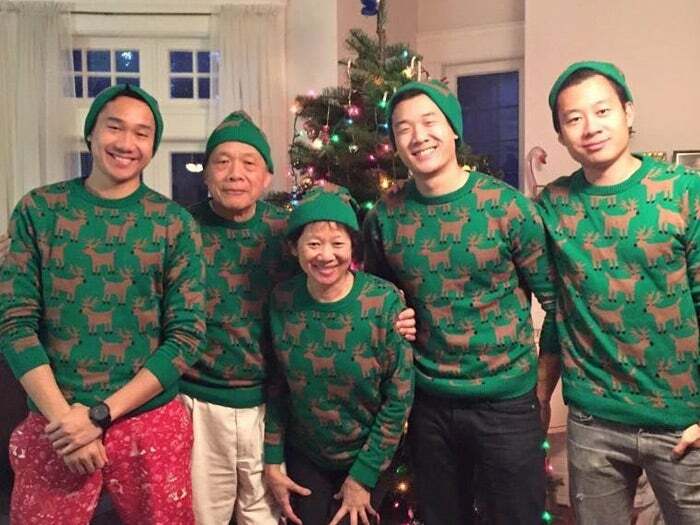 Dan's 2014 family Christmas photo. Cruise wasn’t Dan’s first at-bat. A network of support will get you to the starting line, but you don’t build a billion-dollar-startup without some serious determination. Dan is persistent. Tenacious, even. “Dan has a fearlessness that is such a critical component to a startup being successful. People think of startups as risky, but often inside of them there is a lot of fear of failure. Dan is that voice in the room that says, ‘What if?’ to challenge everyone to reach a little higher,” says Nabeel Hyatt, a partner at Spark Capital, which led Cruise’s series A investment, in an email with Entrepreneur. 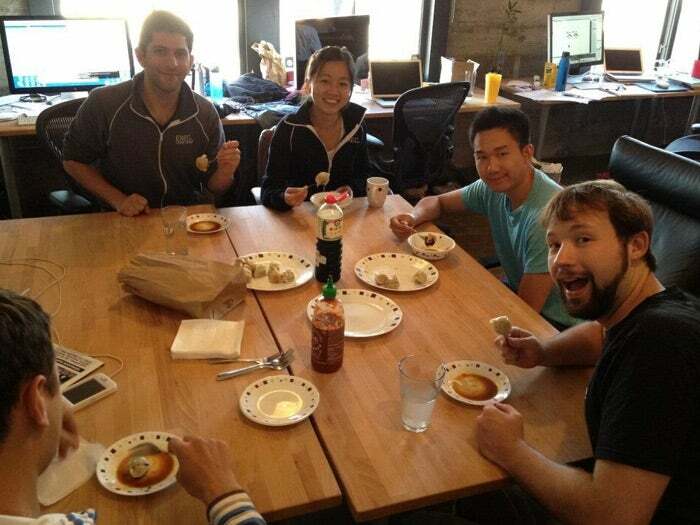 The Exec team eating dumplings at the office in 2012. After a couple of years at UserVoice and encouraged by his older brother, Dan started his own company -- a couple of times. First, in 2011, Dan launched Appetizely, a company that built iPhone apps for restaurants that pushed coupons to attract customers at periods of low traffic. Dan had built about 30 apps before Apple called saying that all the Appetizely iPhone apps had to be combined into one because the functionality was so similar. Dan decided that if he couldn’t offer each restaurant its own app, it wasn’t going to be attractive to restaurants. Within a few months of launching, he shut Appetizely down. 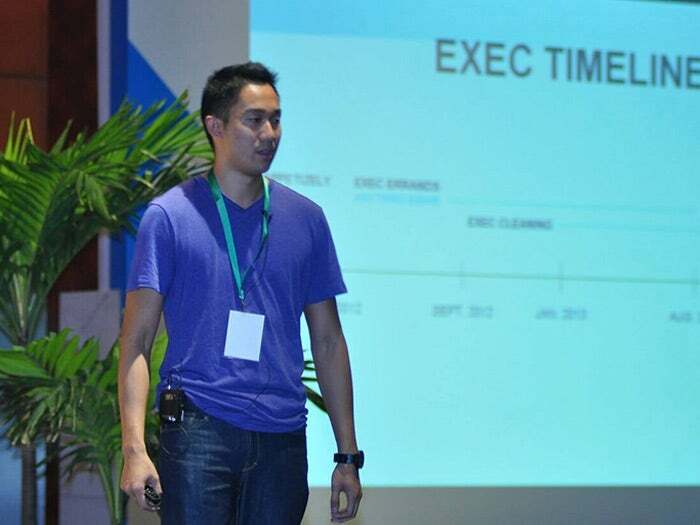 Later that year, Dan launched Exec, an on-demand personal assistant service. 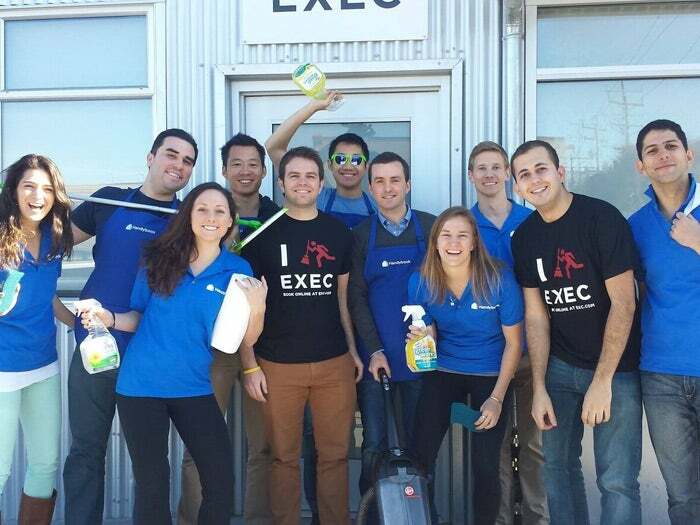 Customers almost exclusively used the Exec app for house cleaning. 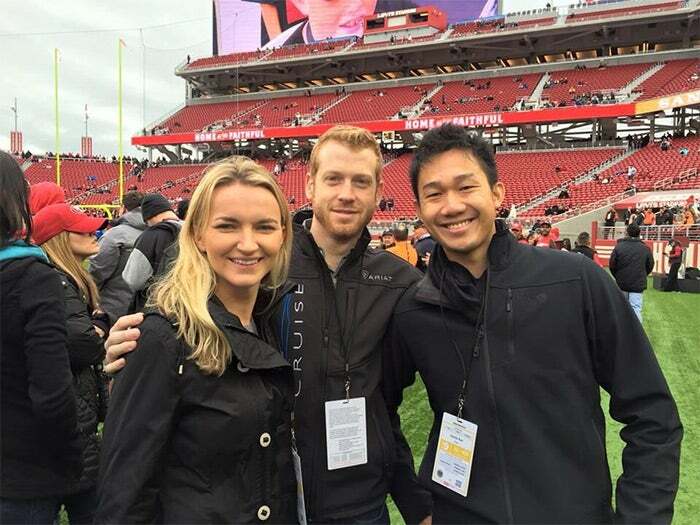 Dan pivoted his San Francisco-based startup to focus on house-cleaning on-demand services. That was more successful, but Dan’s heart wasn’t in it. 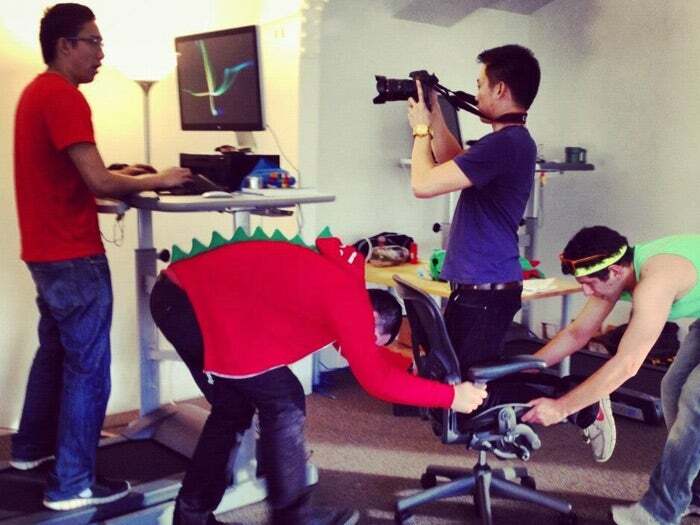 The Exec team in 2013 making a music video we made for being nominated for a Crunchie award. “We started off as a service that would allow you to do anything, with the push of a button, have someone run your errands or do your laundry or whatever," says Dan. "And we slowly turned into a house cleaning business. For me, that wasn’t really what I was passionate about.” In 2014, he sold the startup to San Francisco-based on-demand service company Handy, which has since become a leader in the space. The Exec team in their team dinosaur hoodie. When Dan decides to do something, he does it. “Dan is one of the only people I've been around who will say ‘let's do it’ and actually take the necessary steps to carry out the idea,” says Emma Jones, a friend from Claremont McKenna College who later worked with Dan at Exec, in an email with Entrepreneur. After selling Exec, Dan was looking for his next move. He had known Kyle Vogt for years because Vogt was part of the founding team for Justin Kan's Justin.tv and Twitch. 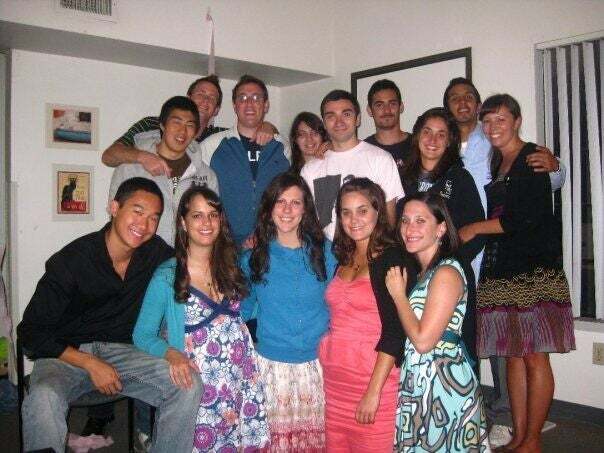 Dan interned with his brother and Vogt for a summer when he was still in college. Dan speaking about Exec and entrepreneurship at a conference in 2014. Vogt had been obsessed with the concept of autonomous driving since he was a teenager: “This is his actual passion,” says Dan, who got excited about autonomous driving by association and joined Vogt to begin working on Cruise Automation in 2014. Shortly after GM agreed to buy Cruise Automation for a cool $1 billion, the San Francisco-based startup that specializes in autonomous driving technology took down most of the information about the company and its technology from its website, other than a dozen or so job postings now that it’s part of the Detroit automaker's umbrella. And Dan, for his part, says he has to stay mum about the technology now that Cruise Automation is part of General Motors. But the technology must have been pretty hot for GM to write such a giant check. The $1 billion gets split between Dan, his better known co-founder and the CEO of Cruise Automation, Kyle Vogt, the other 40 Cruise Automation employees working at the startup when it was acquired and the early investors. (Jeremy Guillory and Vogt have sued each other over the former's involvement in the founding of the company.) Still, it’s a flush deal. Dan is leaps ahead of where he would have been seven years out of college if he had taken a job hustling spreadsheets at even the most prestigious Wall Street bank. When the Exec team was acquired by Handy in 2014. Dan’s also something of a mini celebrity, at least in the entrepreneur community. This reporter caught Dan, the first time, on the phone before he was about to go on stage to speak at Penn State’s College of Information Sciences and Technology Startup Week. The kid who couldn’t land the job he wanted at the end of college is now the touted, glamorized success story. Radical pragmatism and perpetual chill. Dan is unruffled by the spotlight. That’s because he’s exactingly practical. Throughout the exceptional highs and lows of Silicon Valley startup life, Dan stays rational. He says that stress just adds another problem. Dan’s combination of appetite for risk and built-in zen is the ideal business suit for Silicon Valley startup life. Dan with Kyle and Tracy Vogt in 2015. Kyle is cofounder of Cruise and Tracy is his wife and founder of Scuptescapes. It seems to be working. “I didn’t think that I would ever start a company. I didn’t think that I would ever build autonomous vehicles,” says Dan. But oh, look at him now. Driving right along. With no hands. 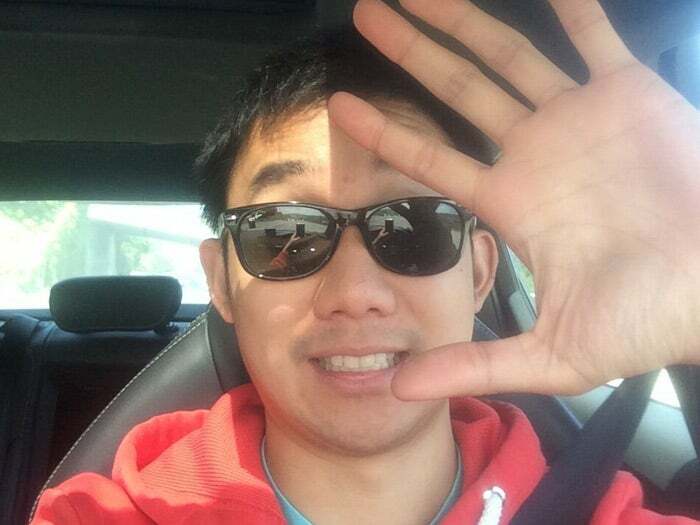 Dan taking a selfie in a self-driving car in 2014.